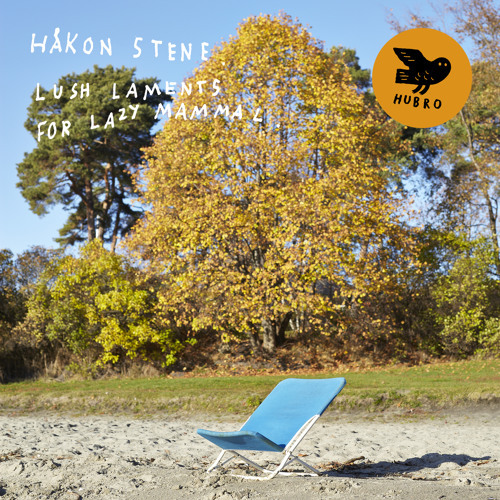 Håkon Stene announces new solo album due for release March 21 (Norway) and April 14 (Internationally) on HUBRO. Meditative asceticism: on his new solo album, Håkon Mørch Stene has combined music by Britons Laurence Crane and Gavin Bryars with a new work by the distinctive Norwegian improviser and composer Christian Wallumrød. It is not necessary to take more than a quick glance at Norwegian percussionist Håkon Stene’s CV to realise that here is a musician with a broad horizon and a fearless attitude towards new instruments and genres. Stene has played folk music with Nils Økland and Benedicte Maurseth, electronica with Pantha de Prince and the Bell Laboratory, baroque music with Rolf Lislevand and contemporary music with asamisimasa, winner of a Spellemannspris (Norwegian Grammy). After many years of focusing on noise-based and complex contemporary music, Stene found it important to once again be able to work with clean, simple and harmonious expressive idioms. On the album he plays, in addition to melodic percussion instruments, both piano and guitar – the latter being an instrument he had not touched for nearly 20 years. “I am definitely not to be regarded as a guitarist any more (and absolutely not as a pianist! ), but all my experience as a contemporary percussionist, where one must constantly adjust oneself to new playing situations and instruments, somehow makes it feasible. I don’t approach these instruments, for example the piano, as an altar, but as a tool for playing these relatively simple pieces. This is the kind of attitude that percussionists often have: instruments are tools one uses in order to produce a particular sound.” British compositions dominate Lush Laments for Lazy Mammal. Both Gavin Bryars (born in Yorkshire, 1943) and Laurence Crane (born in Oxford, 1961) belong to the classic experimental scene in England, a scene that developed in the wake of the conceptual New York School music in the 1960s. The Englishmen draw inspiration from composers such as Cage and Feldman, as well as from earlier cult figures such as Eric Satie, who anticipated genres such as minimalism and ambient as far back as the early 1900s. Unlike the music of the New York School, where everyday noise, atonal harmonies and extreme duration were central elements, that of Bryars and Crane is based on a concentrated diatonic material that is liberated from a traditional tonal logic and is treated as an abstract sound object. Through his work with the ensemble asamisimasa, Stene has had close contact with these circles for the past ten years, and the ensemble presented Crane’s John White in Berlin for the first time at the Ultima Oslo Contemporary Music Festival in 2008. Stene was fascinated by this ascetic, protracted, subdued music. It does not clamour for attention. It is reserved, unassertive and pragmatic. The musical scores are clean cut, offering only the most necessary instructions, and any change in the music is regarded as essential as it is so transparent. “I admire the ability of this music – to put it pretentiously – to probe in a profoundly emotional way although it is in its nature unpretentious, objective and unaffected, entirely free of the often feigned affect that can characterise musicians and music that strive towards expressiveness,” says Stene. “These are features that I recognise in people such as Nils Økland and Christian Wallumrød, who are both musicians and composers whom I regard very, very highly. This is why it has been interesting to connect Laurence’s music to Christian’s on this record. They have a great deal in common, without having known about each other previously.” The piece Low Genths was written by Christian Wallumrød on commission from Stene in 2009, and Wallumrød also plays on the album. When searching for the final piece on the record, Stene discovered Bryars’s Hi Tremolo, which suited the melancholic but sumptuous soundscape on Lush Laments for Lazy Mammal. In addition to Wallumrød, Stene invited pianist Heloisa Amaral, cellist Tanja Orning and cimbalom player Hans Kristian Kjos Sørensen to participate in the recording. Some listeners would undoubtedly place this music in the large drawer labelled “contemporary”, but it could equally well find a natural place in the record collections of post-rock, ambient or drone music fans.